The 5-Star Academy of Performing Arts is an extensive and professional theatrical training ground for youth. 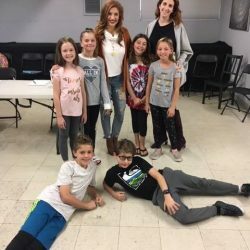 This educational program, run by Educational Director and Artistic Associate, Tal Fox, will foster connections between theatre performance and the Conejo Valley/Ventura County community. We aim to introduce children and teens to professional theatre and give them the opportunity to develop into skilled actors for our mainstage productions and beyond! Through work in the classroom, onstage, and in the community, we strive to develop future theatre leaders by offering a program led by industry professionals. In addition to offering ongoing classes each session, 5-Star offers Master Classes with theatre professionals such as actors, choreographers, casting directors, agents/managers, musical directors, etc. providing kids and teens in the community an opportunity for top-notch expert feedback. To sign up, email: EDUCATION@5startheatricals.com for a registration packet! About: This camp is for intermediate and advanced students who are ready for an immersive theater program. In addition to focusing on technique through scenes and songs, students will have industry guests (casting directors, musical directors, actors, agents, etc.) coming in to workshop their material and provide feedback. We will hold a Mock Audition with a casting director or agency, have a Headshot Session with an established headshot photographer, and a performance on the last day of camp. Additionally, this intensive includes 1 ticket to “Phantom of the Opera” at The Pantages in Hollywood on Saturday, June 22nd (Travel to/from the Pantages is not included, but we will help to coordinate carpools). About: Young actors of all skill levels are welcome, from novices to seasoned thespians alike. All you need is a little curiosity and a love for performing! 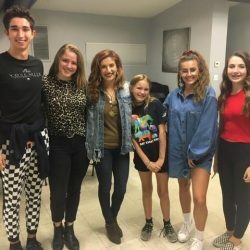 5-Star prides itself on developing technique in their students, and this week-long camp is no different; In addition to putting together a musical revue for family and friends at the end of the week, campers will participate in acting exercises, vocal instruction, and plenty of games. About: Actors between the ages of 11-18 are invited to participate in this week-long intermediate camp. 5-Star prides itself on developing technique in their students, and this weeklong camp is no exception. Students will collaborate to build a musical revue and showcase for family and friends at the end of the week. In addition, we will be focusing on musical theater technique, emphasizing the acting of a song and developing some basic dance skills. About: This camp is for beginner and intermediate students who are eager to get in front of industry professionals. In addition to focusing on technique through scenes and songs, students will have industry guests (casting directors, musical directors, actors, agents, etc.) coming in to workshop their material and provide feedback. We will hold a Mock Audition with a casting director or agency, have a Headshot Session with a established headshot photographer, and a performance on the last day of camp. Additionally, this intensive includes 1 ticket to “West Side Story” at 5-Star Theatricals, followed by a backstage tour with a cast member on Friday, August 2nd (Travel to/from the Kavli Theater is not included, but we will help coordinate carpools). The 5-Star Academy of Performing Arts is run by educational director and artistic associate, Tal Fox. Tal has worked professionally for more than 10 years in the entertainment and education industries. 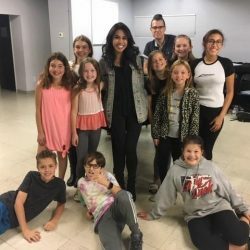 She holds a bachelor’s in fine arts in musical theatre and a bachelor’s degree in communications from Pace University in New York City, and has lectured and taught across the United States at schools, acting programs and theaters. In her five years as a talent agent at Kazarian/Measures/Ruskin & Associates she ran the bi-coastal (Los Angeles/New York) Equity/Theater department and developed the Youth TV/Film/Theater department. She has advanced many careers and put a multitude of actors on Broadway, in television and film, in national tours and in regional theater productions. 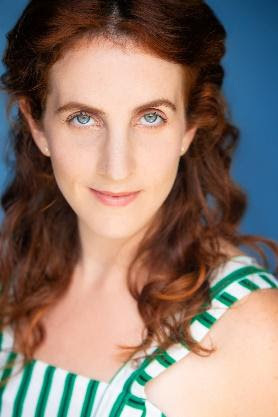 Tal has experience performing, casting (credits include Center Theatre Group, Kirk Douglas Theatre, Theatre @ Boston Court, Bleecker St. Theatre in NYC…), theater tech, and in producing (with Broadway theater producer, Ken Davenport). 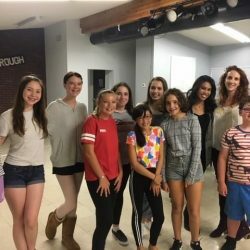 With all of these resources, she brings an extremely high quality of understanding of both acting technique and business savvy to her students. A $120 non-refundable deposit (deposit + material fee) is required to sign up for a class. 5-Star is happy to coordinate and work on a payment plan with any of our students. Please email EDUCATION@5startheatricals.com with any requests.